On October 9th, 2013 a regional record of thirty-eight schools from sixteen school districts participated in this international event – a 21% increase from last year! James Elementary in Kansas City, Mo. promoted the event with student designed posters, door prizes, raffle prizes, and certificates for all walkers. 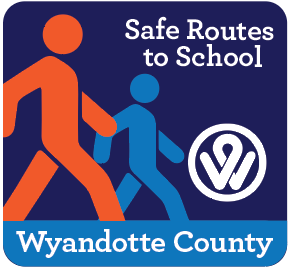 They had over 220 students walk to school from home. Westview Elementary in Lee’s Summit did a “walking school bus” on Tuesday morning. Families were encourage to meet teachers in the morning and walk the remainder of the way to school with them. About 3/4 of Westview staff were stationed at various neighborhood intersections. About 290 students at Harmony Elementary School in Blue Valley School District walked to school. Students at Brookridge in Shawnee Mission School District worked toward a common goal. If 365 students or more participated, students would earn an extra recess. 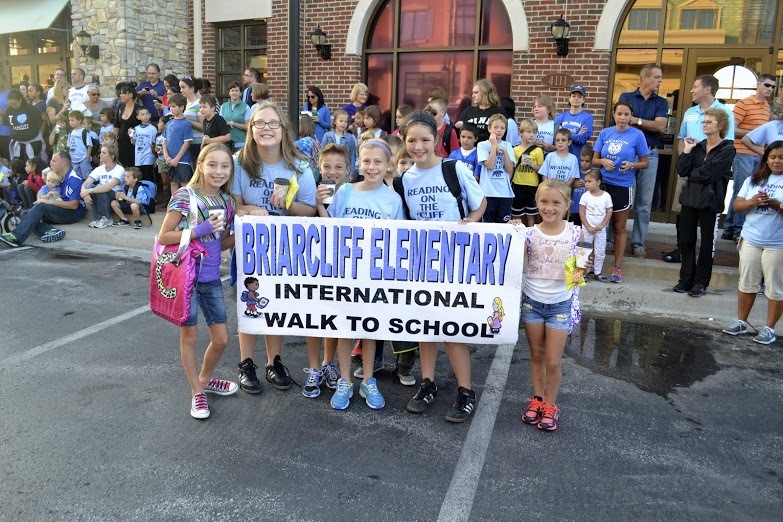 Briarcliff Elementary School in North Kansas City celebrated Walk to School day early on Sept. 29. They walked from Briarcliff Village to the school at 4100 N. Briarcliff Road, and were led by the North Kansas City High School marching band. See the complete list of participating schools.